A retirement statement from a sports star rarely causes a flicker, but Nicole Cooke went out as she rode her bike: giving it her all. The contrast could not have been greater - as Lance Armstrong, a fraudster backed by many corporate sponsors and feted by presidents, was about to deliver a stage-managed confession to Oprah, so a shy, young woman from a small village in Wales took aim. She too had been a cyclist, the only rider ever to have become World and Olympic champion in the same year, and the first British cyclist to have been ranked World No.1, but as a woman in a man's sport, her exploits gained little recognition and brought no riches. She too had ridden through this dark period for the sport when drug-taking was everywhere. Nicole Cooke spoke up for those who had taken a very different path to Lance and his team-mates. In her frank and outspoken autobiography, Cooke reveals the real story behind British cycling's rise to global dominance. With a child's dreams of success, she left home at 18 to pursue her goals in Italy. Broken contracts, unpaid wages, a horrendous injury and drugs cheats were just some of the challenges she faced, even before she lined up to take on her opponents. 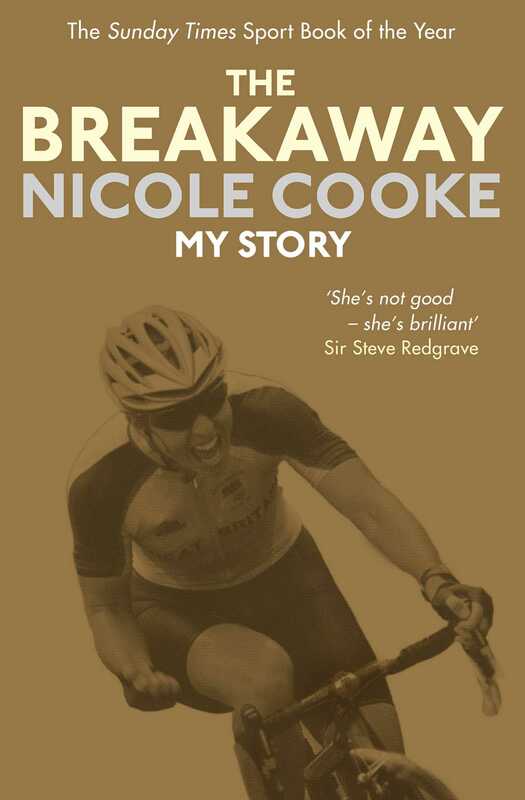 The Breakaway is a book that will not only inspire all those who read it, but which also asks some serious questions about the way society regards women's sport. Nicole Cooke was born near Swansea in 1983 and became one of the UK's most successful cyclists, winning gold in the 2008 Olympics and then following it up a few weeks later with the World Road Race title. In all she won more than 70 professional titles around the world, including the women's Tour de France twice. She retired from the sport in 2013.